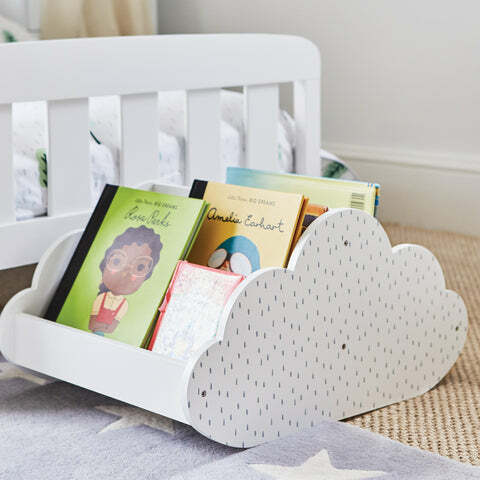 Cloud Book Ledge | Great Little Trading Co. 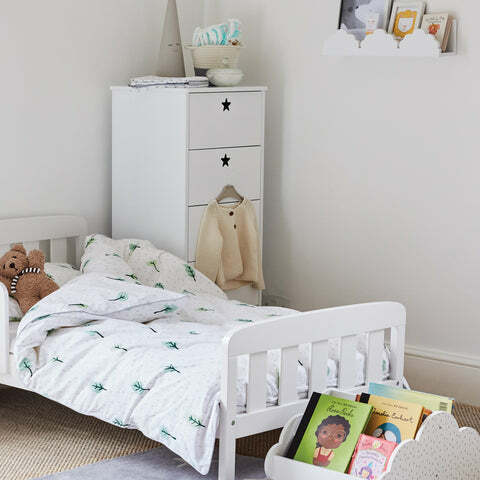 This sweet shelf is perfect for children's nurseries or bedrooms; it's a great little home for books or soft toys, and keeps them easy to spot whenever they're needed. It's the perfect companion to our Cloud Book Holder. It's made from smooth, super sturdy MDF with a painted finish and includes keyhole fittings on the reverse; please use the appropropriate fixings for your walls. Team it up with coordinating designs in our range of Wall Shelves, Children's Rugs and our beautiful Rope Storage Baskets.